If you didn't know this about me, I am an extroverted introvert... meaning that I can manage pretty well in a room full of people, but I need my alone time. In fact, I crave alone time. I know I know. I seem outgoing and bubbly - and that is true to a certain degree. But ever since I could remember, I have always needed me time. I remember my siblings getting upset several times because I didn't want to join them in their room for a sleepover. I remember always being the one to get up and move to a room by myself when having slumber parties with friends. I always had a desk in my room growing up where I could read and write and do my homework with my door closed. And every time we would visit my grandparents' house in Mississippi, I would always retreat to the back room and color and do puzzles while every one else hung out in the front. And, if you can keep this a secret, I pretty regularly daydream about spending the night in a hotel by myself for several days with no one bothering me. Man, I am SO MUCH FUN! I can manage just fine with people in the room, and I absolutely LOVE people. WOO (winning others over) is even in my top 5 strengths. However, if my "me time" tank stays emptied for too long, I kind of start going bonkers. ...which is why I have protected my morning quiet time with Jesus as fiercely as a momma lion protects her cubs. My quiet time is MY quiet time. And I don't like the kids to talk to me or make a noise or shuffle around the room or ask me to make them a cup of milk. I don't like Trice to talk to me. I just want it to be me and Jesus. But last month, when my mother-in-law was in town, she embraced Emerson being at the table with her for her quiet time. After watching her example for a week, and seeing how meaningful it was to my kiddos, I finally decided to throw in the towel and let them be a part of my quiet time. Remember, this whole motherhood thing is about dying to SELF. Oh that sweet sweet SELF. And I mean, how do you tell your son no when he pointedly asks you if he can get up and have quiet time with you?! Because after a week of doing it with Grand Mere, he started to CRAVE it. And what mom wouldn't want her children to crave time with the Lord?! So I generally wake up at 6, fix myself a cup of coffee and get started. I usually have time to journal some prayers and sit quietly before Emerson joins me around 6:30. Then, he works on his quiet time while I work through my Bible study. Little Etta Jayne has been joining us as well. They have "coffee milk" and a light snack, and we all spend time with Jesus together. I set the table up the night before, so that when they wake up, it's like an invitation that draws them to sit with me. After we are finished, we clean up and put everything in our Quiet Time basket. This basket sits on the window seat. Here is a closer look at the materials we use for Quiet Time. It consists of a Scripture reference, a thought, a learning activity and a prayer. Nice and simple. 2. Quiet Time Notebook - Because his devotional only lists the Scripture references, and because Emerson doesn't actually have a full Bible or know how to go about finding Scriptures in one, I print out the verses for him. I print them out in the International Children's Version of the Bible. Eventually we will teach him how to look up verses himself, but for now, this is about getting him in the routine of having a quiet time, and I don't want him to be held back in any way. I made him a little quiet time binder, and in the binder, it includes his verses of the day, reward stickers, blank paper for him to doodle or journal any thoughts, and also a daily "I am thankful for..." sheet. Each day he has to write in the blank at least one thing he is thankful for. We are trying to teach them gratitude because the whining...... oh the whining. Now, Emerson was an early reader. He started reading at 3, so by now he is pretty much a reading expert ;) This allows him to do his quiet time independently next to me. For those of you mommas who are wondering what to do for your younger kiddos or your kids that aren't reading yet, here are some suggestions. 1. Christian Coloring Book. Etta Jayne calls hers her "Bible." Hers has little Bible verses in it, so I usually read her her verse while she colors. Although I know she isn't getting a full out lesson, to her, she feels like she is a part of our Bible study time. If I sleep in (which is happening a lot lately at 36.5 weeks pregnant! ), she will come running in my room saying, "Let's have quiet time, Mommy!" I mean, how sweet is that?! Here are some cute options I found on Amazon. You can click on the pictures and it will take you directly to the Amazon product page. 2. Blank Paper w/pencils, markers, stickers, etc. This works well for Etta Jayne because she is a doodler! This would NOT have worked with Emerson when he was little though. He is just now starting to get into doodling. You know your child best! 3. Picture Bibles. Here are three that we own and absolutely LOVE. Our most favorite is The Jesus Storybook Bible. If you don't have that one for your kiddos, buy it now! Seriously. It's less than $10, and the sweetness of it will have you weeping. If your kids don't fall into either category, or have a hard time sitting still, and if you are a momma that is DESPERATE for some Jesus time, why not pop in a good Christian DVD for them to watch while you are soaking in the Word? My kids can't stand Veggie Tales, so we have had to look elsewhere for Christian DVDs. Owlegories teaches kiddos different characteristics of God through nature. They have three different volumes available now. You can click on the pictures below to learn more! My kids love these. They also have an iPhone app! We also LOVE the Theo DVD Bundle!!! These DVDs are seriously intense. Their tagline is "Big Theology for Little Kids." We bought the 5-pack bundle, and the DVDs explore topics such as justification, salvation, the armor of God, the fruits of the spirit, and so much more. Thank you to Leigh Ann Dutton over at Intentional By Grace for recommending these! The DVDs are available to purchase as a bundle or as separates, both at Amazon or at the Theo Presents store! I hope that you have gotten some ideas through this post. 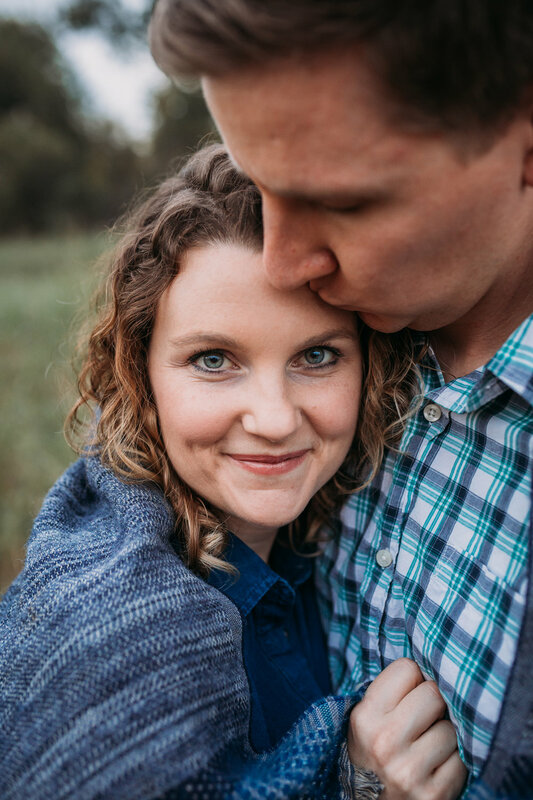 If you have anymore questions about any of the resources listed in this post, let me know :) We have been doing morning quiet time together for the last 6 weeks, and it has been such a special time for us!! We even packed it all up and brought it on vacation with us! I can't help but think how much better off my kids will be if they get in the habit NOW of being in the Word daily. I hope morning quiet time is something that you can do with your kids, too!